SUNNY LEIGH Silk-Like Top Blouse - Small Petite Discounts Apply ! Beautiful, feminine silk-like blouse by Sunny Leigh! 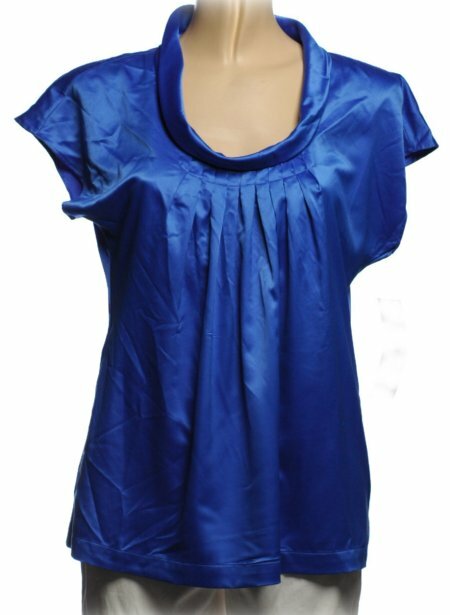 Beautiful pacific/royal blue with soft neckline and soft pleats which flow and drape beautifully. Pullover. Cap sleeves. NEW - note: some small imperfections due to trying on in the store - priced accordingly - NO returns or exchanges.